(TORONTO, ON – FEBRUARY 9, 2017) Families on the go, TRD style! Toyota’s Tundra full-size pickup truck and Sequoia large SUV have long been ideal for adventuresome families in need of that unique combination of performance, utility, towing ability and comfort. For 2018, the experts at Toyota Racing Development (TRD) have developed the new TRD Sport grade for Tundra and Sequoia, offering active families an extra dose of sportier styling and performance for added fun and excitement on their next journey. Exterior colors for the TRD Sport will include Super White, Magnetic Gray, Midnight Black Pearl, Silver Sky Metallic, Blazing Blue Pearl and Barcelona Red Metallic. In addition to the TRD Sport, Sequoia will be available in SR5, Limited and Platinum grades. All will be powered by the i-Force V8 engine. Like Tundra, the 2018 Sequoia will raise the bar in the area of safety as TSS-P will be standard on all models (includes PCS w/PD, LDA, AHB, and DRCC). Additional features new for 2018 in select RAV4 models include optional heat/power fabric front row seats, heated steering wheel, and wiper de-icer. 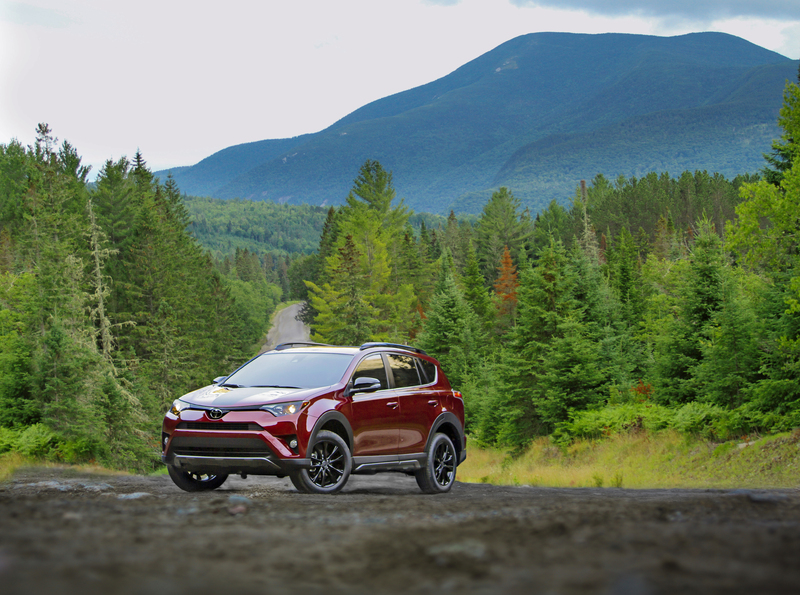 The 2018 RAV4 Trail grade along with the Tundra and Sequoia TRD Sport grades will begin arriving in dealer showrooms in September.